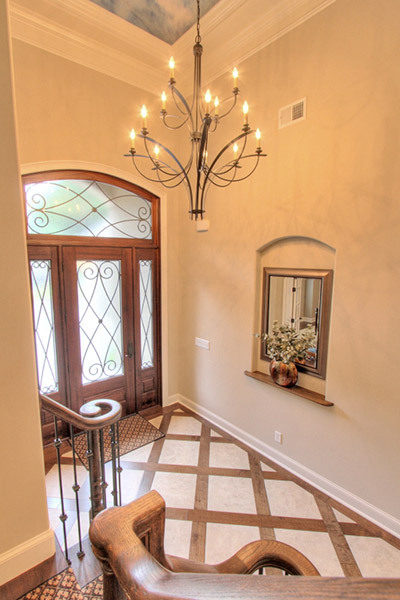 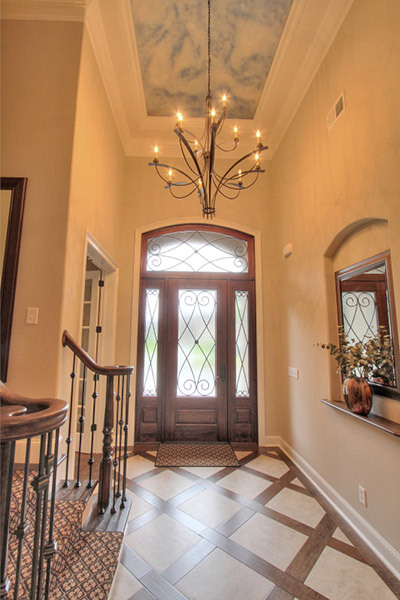 The foyer includes a beautiful stair case with oak newel posts and oversized oak railing and iron pickets. 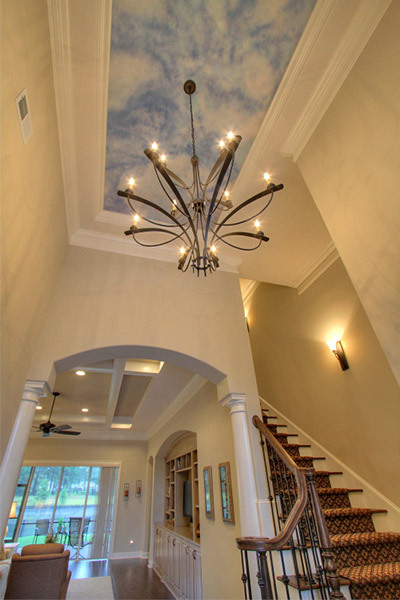 The barrel ceiling with custom faux painting with painted fluffy clouds and rope lighting is truly unique. 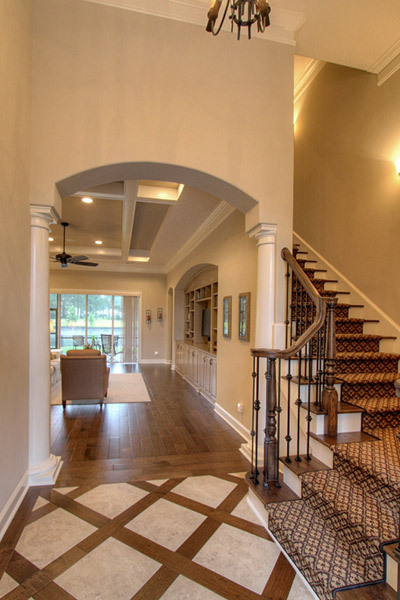 The floor is a mixture of travertine and wood, with a arched opening held up by cast stone columns. 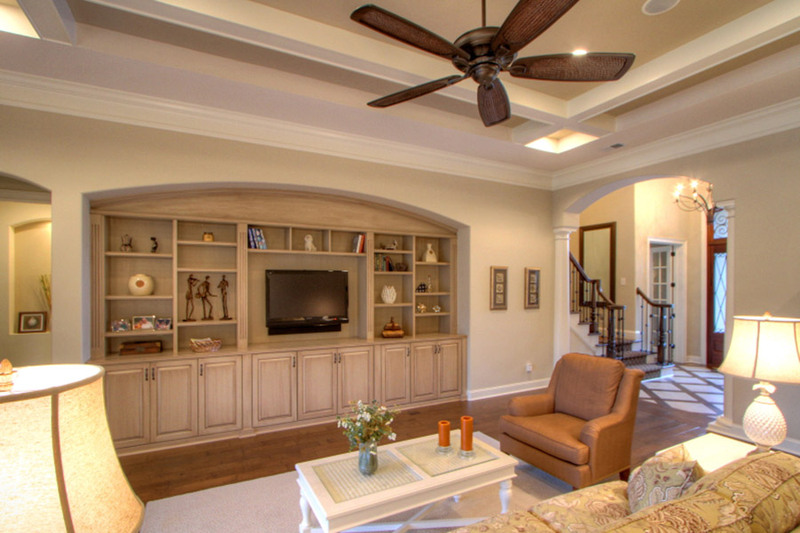 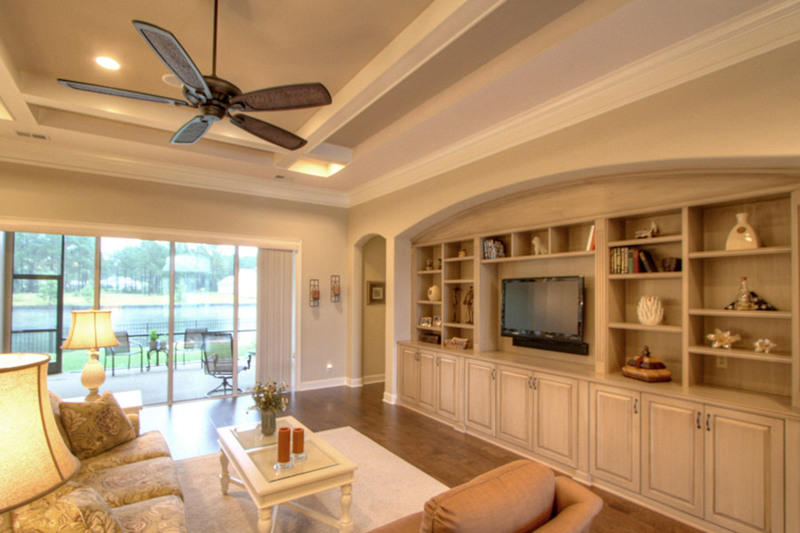 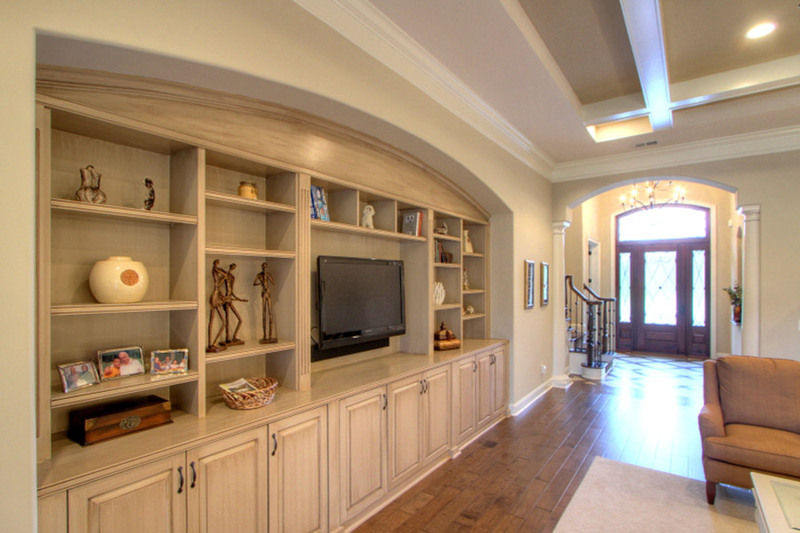 The great room has custom cabinets with faux painting. 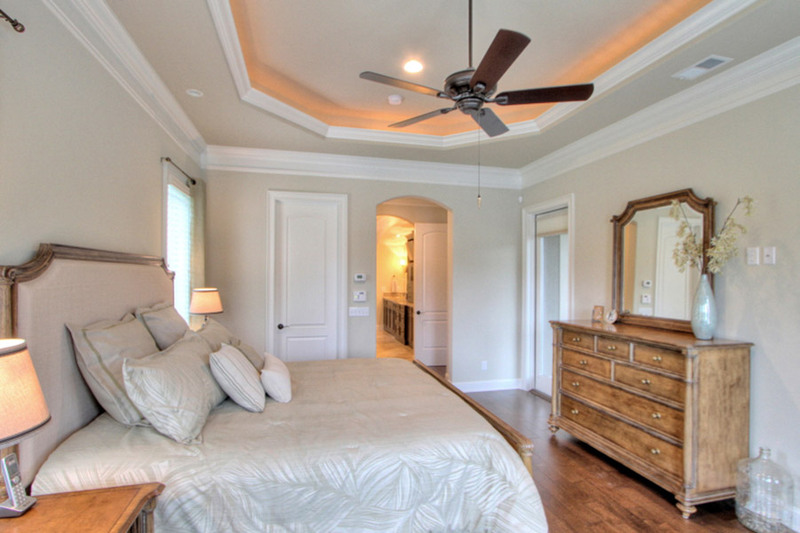 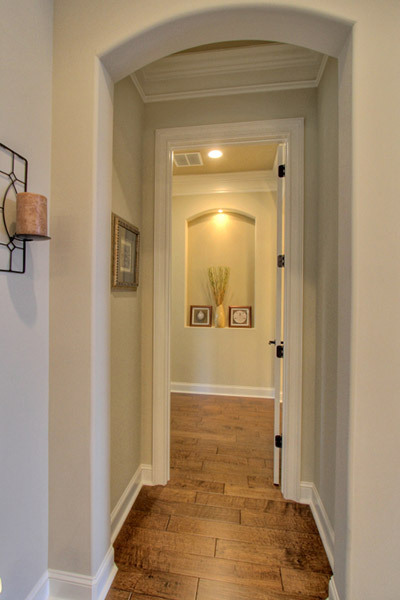 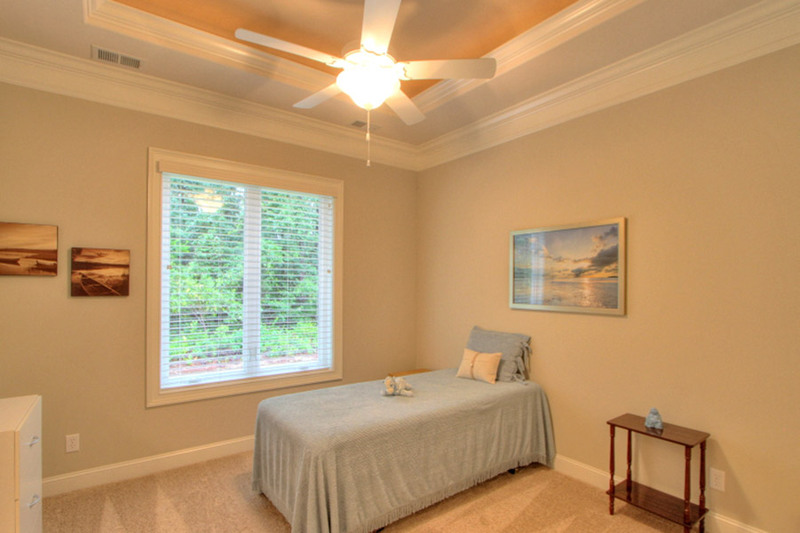 This custom touch pulls together the hand scraped hickory wood floors. 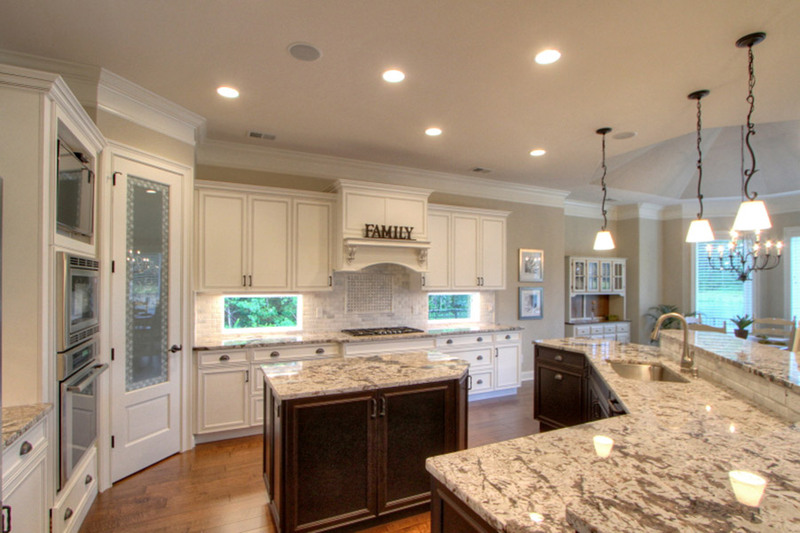 Just look at this custom designed kitchen! 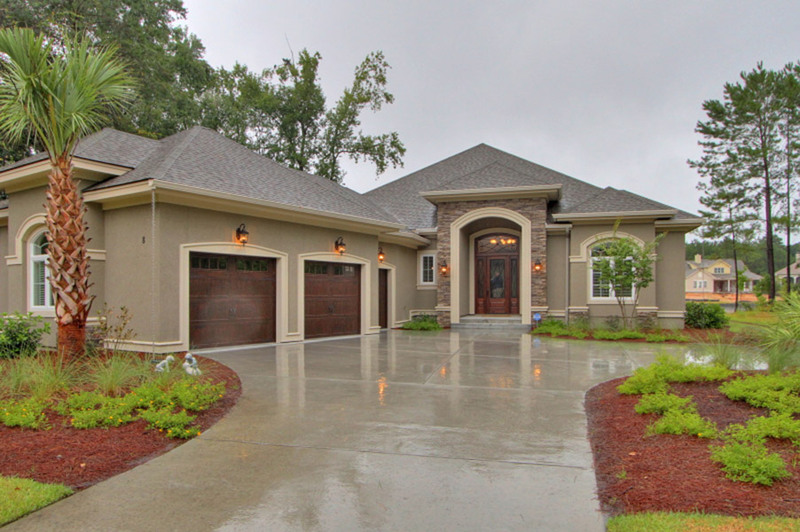 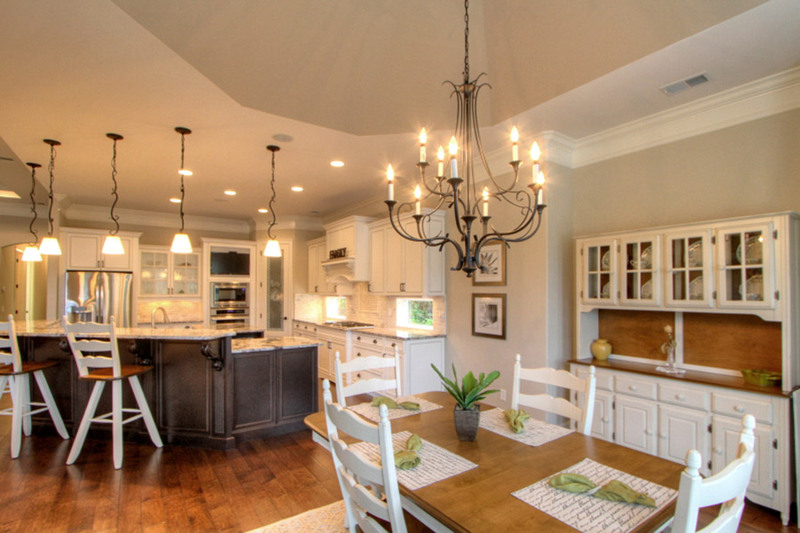 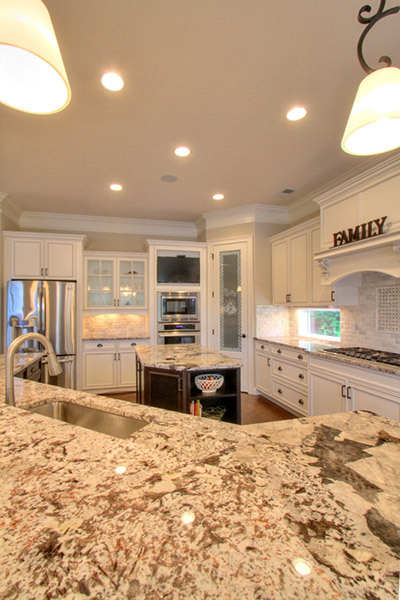 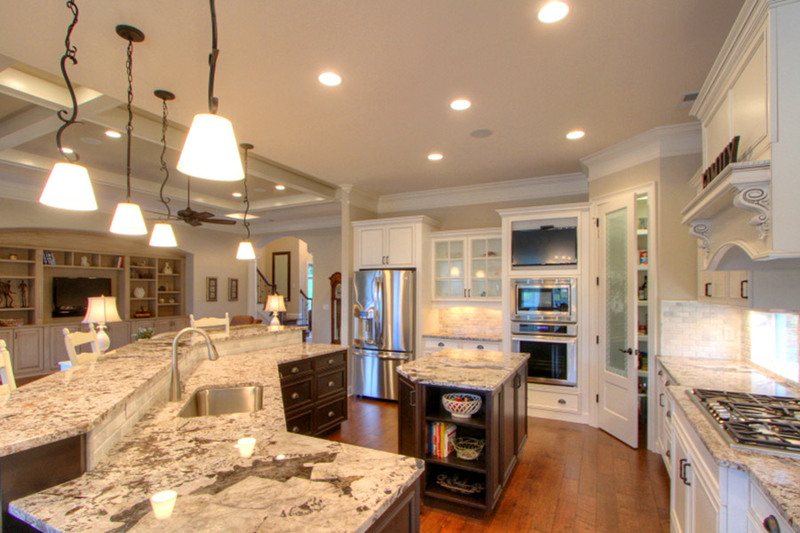 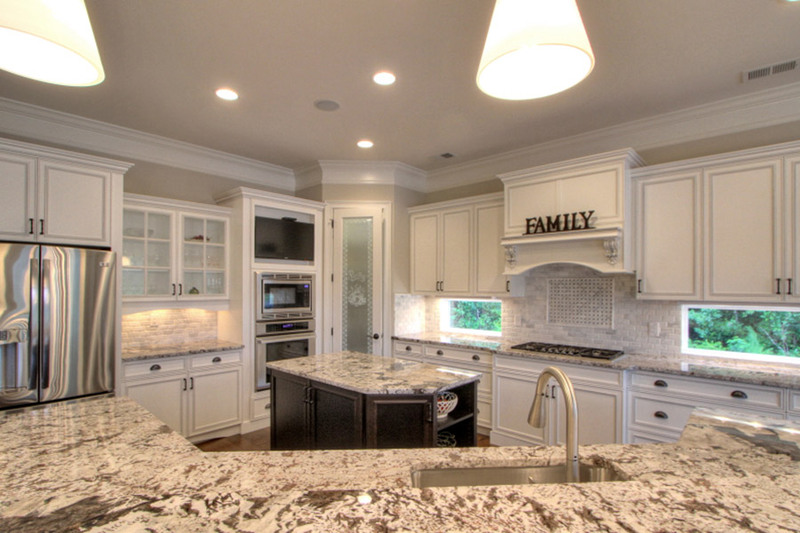 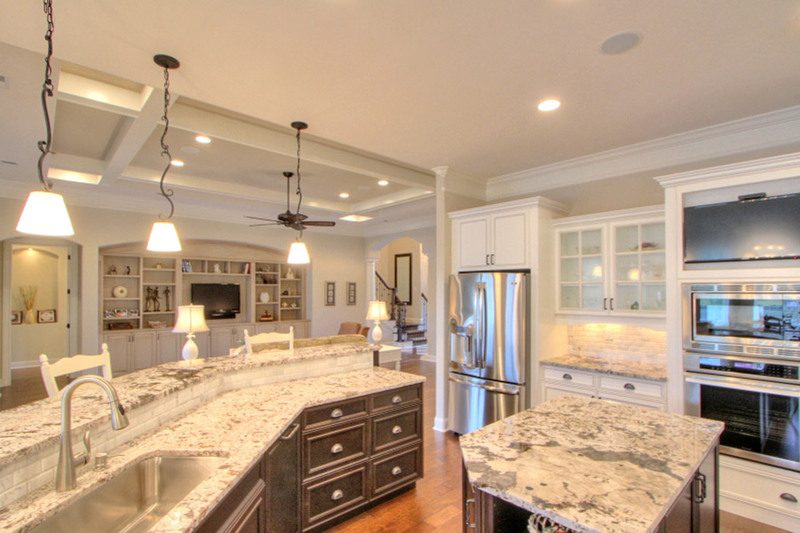 Complete with custom cabinets, granite counter tops and tile backsplash pendant lights over the raised bar area. 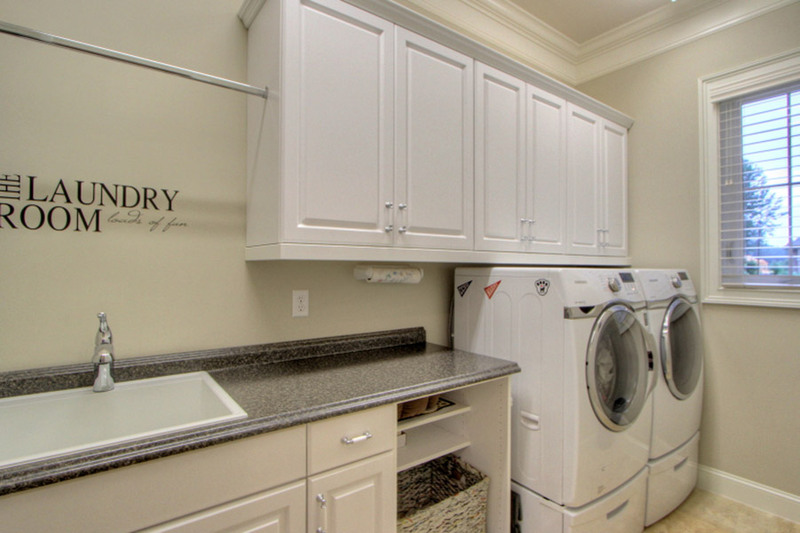 All of the appliances are stainless steel. 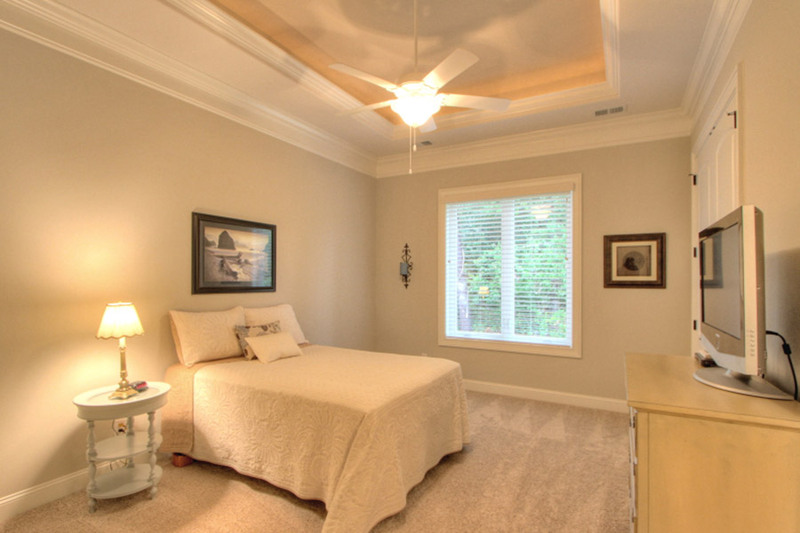 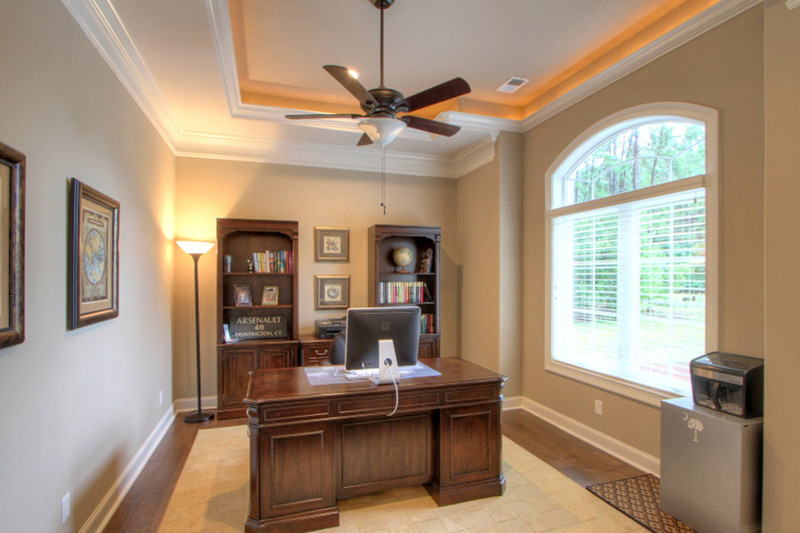 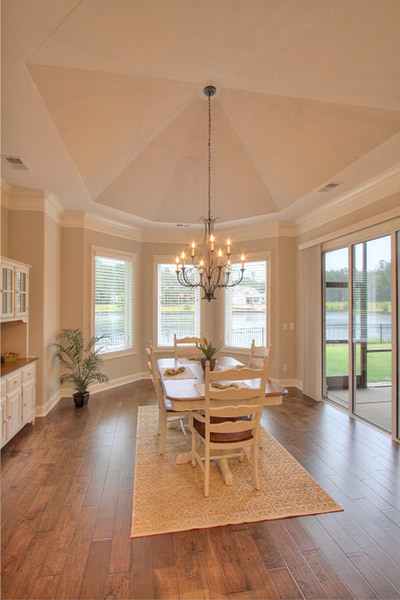 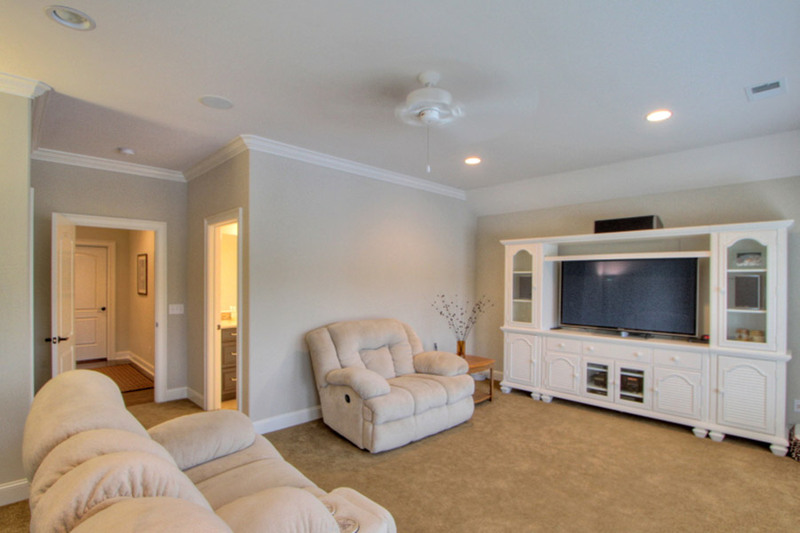 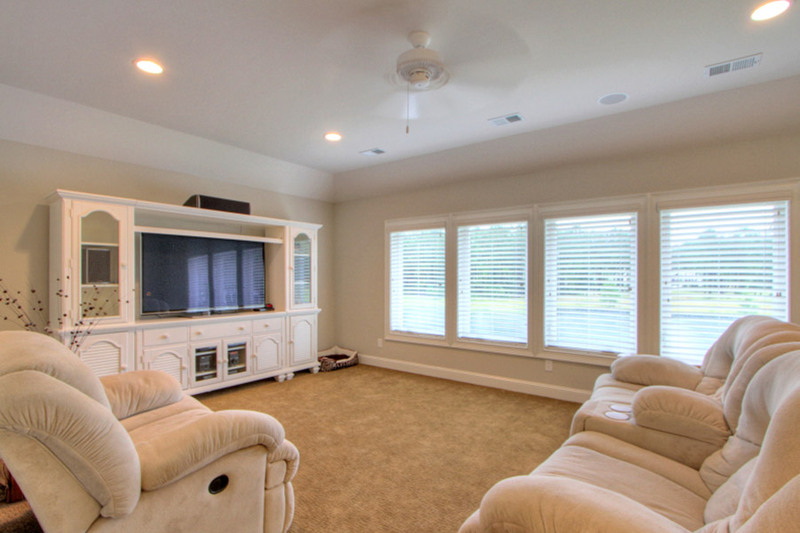 The ceilings are vaulted and the hickory floors are hand scrapped. 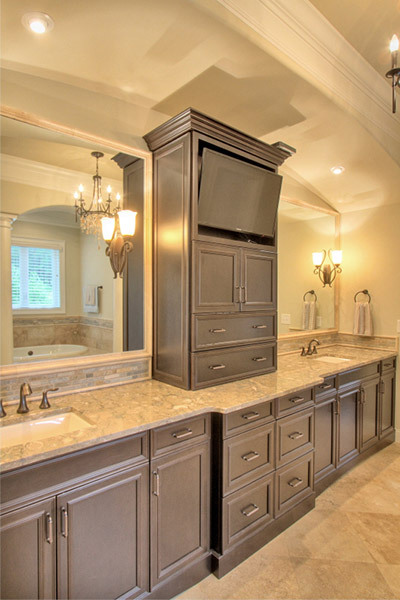 The master bath has a 15’ vanity with double sinks and an upper cabinet that separates the two sides of the vanity; this cabinet also houses a hidden TV! 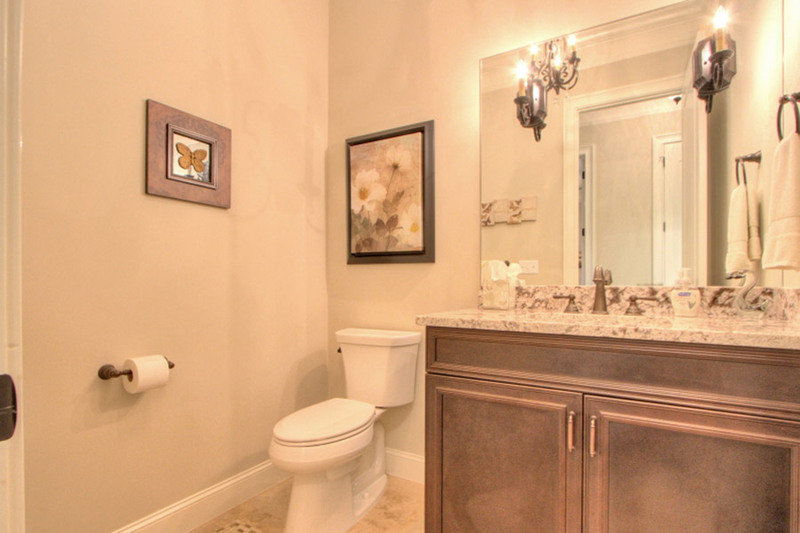 On either side of this cabinet, over the sinks, you find full height mirrors surrounded by bull nose tile. 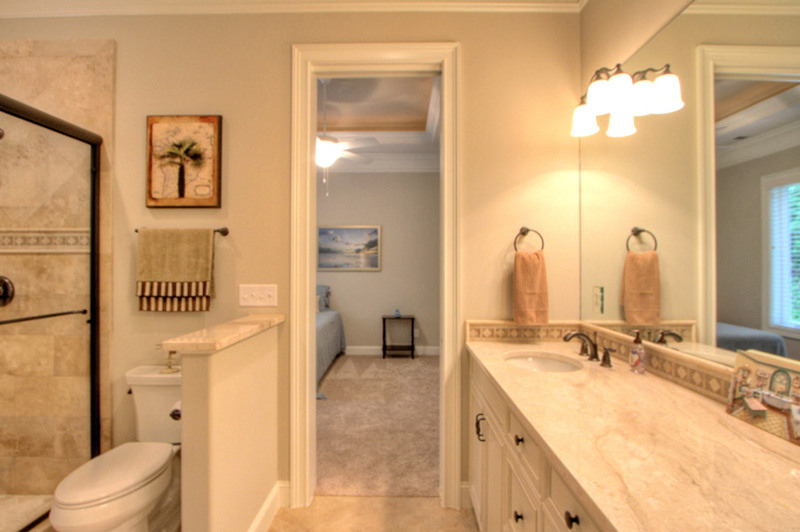 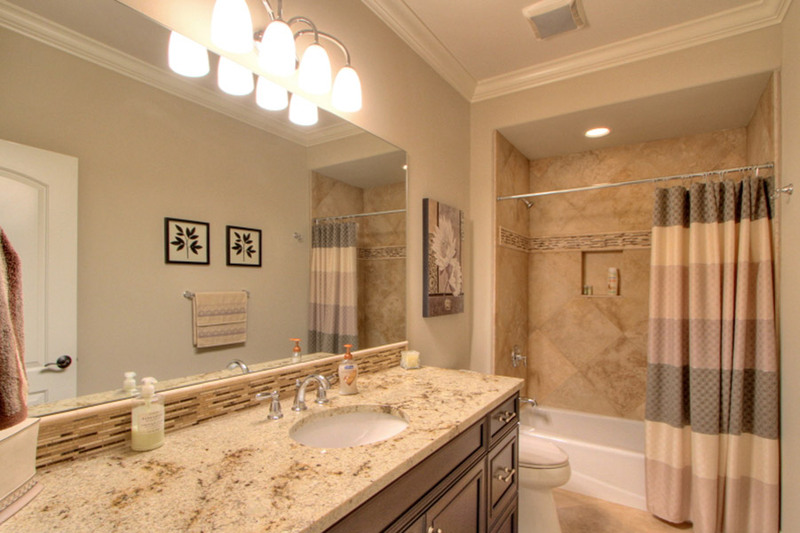 The vanity has granite countertop with tile accent backsplash. 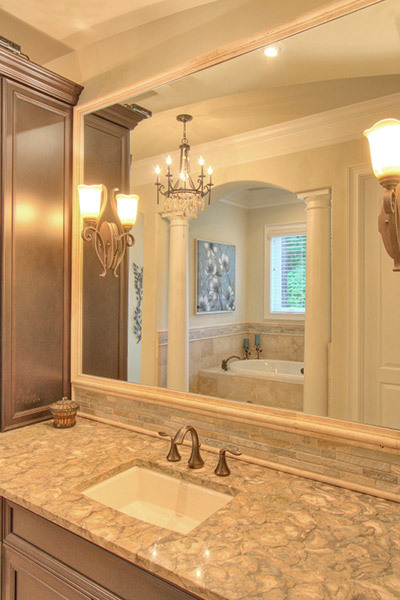 The vanity and area is finished off with four wall hung sconces and a beautiful hanging Chandelier. 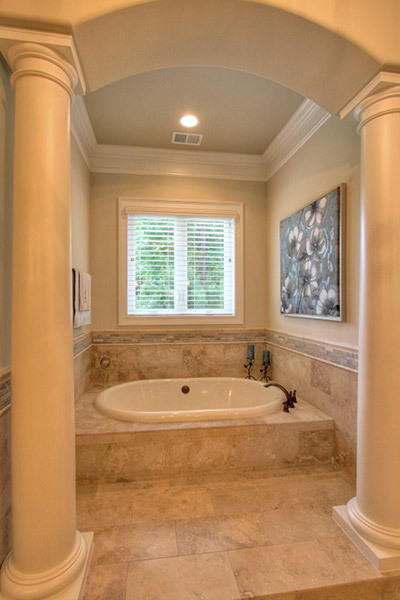 A step-up soaking tub that sits on a platform which is highlighted by two full height columns and an arched soffit. 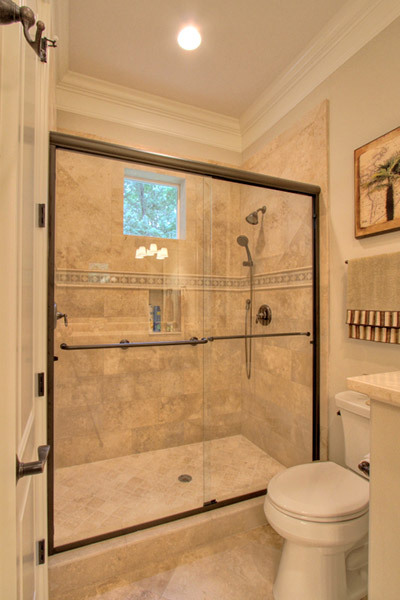 The tub deck is finished off by a travertine wainscoting. 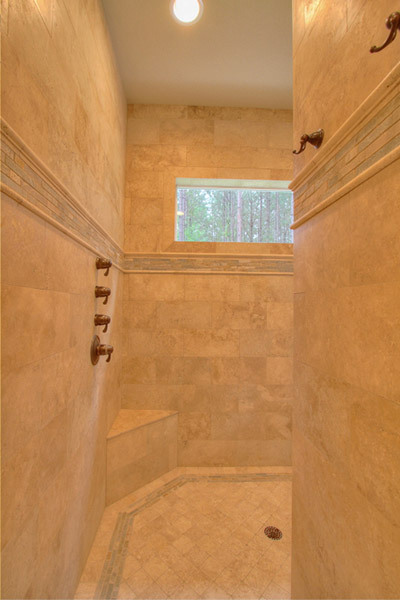 The spectacular Master Bathroom is a walk in shower with travertine tile cut into a brick pattern. 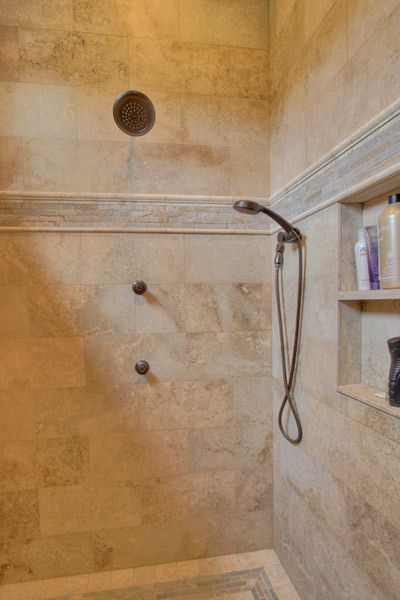 The shower has two body sprays; a standard shower head and hand held unit.